Frequency Within is an Indie/Alternative rock band bringing life to the stages of the US Southwest If they're not performing, you can find them out at shows supporting other bands in Los Angeles. The music a blend of rock you can dance to or just punch someone in the face to, but you definitely won't be sleeping. On July 30, 2016, the 4-piece released their debut album "Blissfulmess" and departed on their first tour through the deserts of CA, AZ & NV. SoCal Indie Musicians booked & managed the tour which was completed in September 2016. In, January 2017 The band embarked on the Full Indie Jacket Tour. During the summer of 2017, the band and fans hit the road for a series of Freqend Tours! The release of Frequency Within's Music Video for "Vindictive" was November 17, 2017. Frequency Within signed with Die Laughing Records and released their single “Coma” 3/9/18 and hit the road again on the “Cold Sweat” Tour through April 2018. The band is in the studio recording their next release. 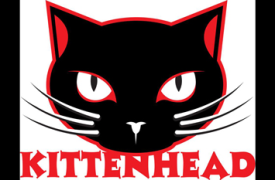 Kittenhead is a high energy punk rock band being played on radio world wide including London and the surrounding area. We will make you love Rock n Roll again. Our high energy shows make fans out of everyone who attends. Kittenhead is political, passionate, and fun. Catchy beats engaging lyrics and soaring guitars grounded in the best bass lines since Geddy Lee make Kittenhead easy on the ears and fun to watch. 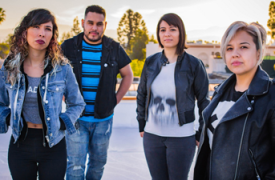 Edgewater Angel is a four-piece Alternative Rock band from Los Angeles founded by two friends and songwriting duo, Kaylee Atherton and Mario DiLeva. The two met in the summer of 2017. Both Kaylee and Mario shared similar musical tastes and influences. Modern Alternative Rock and 90’s Grunge bands such as Paramore and Nirvana, were just a couple of their common influences. Edgewater Angel’s bassist, Mario comments, “We really never started out to be a band, but when we started writing songs together, we realized we had something special. After a couple weeks of writing, we wrote our single, ‘Done With You.’” Realizing the personal and reflective nature of their writing styles, both felt that the songs needed an authentic voice and sound. Both being accomplished musicians and performers, the duo turned to each other and created the band, Edgewater Angel. The name seemed a natural fit, “Edgewater,” inspired by San Pedro, the port town on the edge of LA where Mario grew up, and “Angel,” representing the City of Angles, Los Angeles, where Kaylee and Mario call home. Inspired and motivated, the two went to work. After several marathon song writing sessions and many long nights, Edgewater Angel had songs in the bank. Wanting to share the fruits of their labor, the duo took to the studio and recorded their debut five song EP in March of 2018. 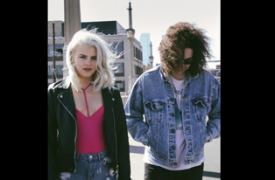 They released their first single, “Done With You,” on June 15, 2018. Edgewater Angel plans on releasing the entire EP, single by single and release the complete EP in early 2019.